The PhasmaFOOD consortium counts 5 academic and 3 industrial partners, among which 2 SMEs. It is spread between Belgium (coordinating country), Germany, Greece, Serbia, Italy and Netherlands. With a wide range of expertise in complementary fields of R&D validated by various successful national and international projects, the skills of the partners span the whole chain of values for smart food quality sensor prototyping. INTRASOFT International S.A. is a leading European company in the area of Information Technology and Communication services provision with strong international presence, offering innovative and added-value solutions of the highest quality to a wide range of international and national public and private organisations. The company employs more than 1,600 highly-skilled professionals, representing over 20 different nationalities and mastering more than 18 languages. The company has proven expertise in conceptual system architecture specifications, system design, advanced application development and integration services, information portal management, commercialization of research activities and communication services. 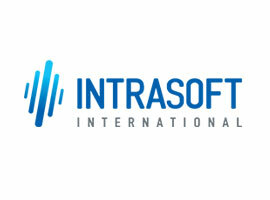 INTRASOFT International will undertake the project coordination and will be also involved in the Dissemination, Communication and Engagement activities, as well as in the Exploitation activities. It will also undertake the coordination activities of Use cases, business analysis and requirements. It will also undertake dissemination of the projects visions and results. In addition, software development, integration and testing activities will be assigned. 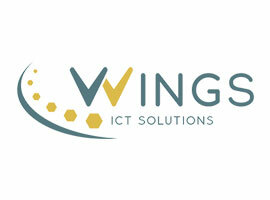 WINGS ICT Solutions, Ltd (WINGS) is a fast growing SME which focuses on conducting R&D activities and providing consulting services in all areas related to telecommunication networks, services and Future Internet. WINGS pursues research and prototyping achievements in the areas of smart wireless access; device management; Cloud-IoT-wearables-Nano networks; software networks/ NFV/ management & orchestration; big data & predictive analytics and development of applications and services. WINGS will lead prototypes, testing and validation activities as well as dissemination & exploitation of the projects concepts and results. 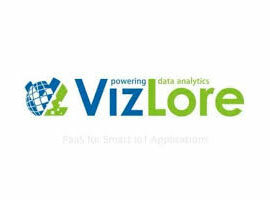 VizLore Labs Foundation (VLF) is a young and energetic, non for profit research oriented institution with strong emphasis on attracting students, graduates, young engineers and researchers to participate in innovative and research focused projects. Their social mission is to lead regional innovation generation and entrepreneurship in the high impact fields of information and communication technologies across all IoT domains. Projects performed within VLF are research oriented and with strong emphasis on innovation and efficient work-flow designs in line with the latest technology trends and business needs. VizLore Labs will lead Software development and data Management activities of the PhasmaFOOD project. The Fraunhofer Institute for Photonic Microsystems (IPMS) in Dresden, Germany, is part of the non-profit Fraunhofer research organisation. Fraunhofer IPMS carries out application focused R&D in the fields of microelectronics, micro-systems technology and organic materials systems. IPMS specialises in the following areas: light modulating microsystems, organic materials and systems, spectroscopy, sensors, actuators, distributed systems, image processing and image transmission, as well as digital and analogue circuit design. 280 scientists, students and Ph.D. students work at the institute in Research and Development, especially in Micro-Electro-Mechanical Systems (MEMS) and Micro-Opto-Electro-Mechanical Systems (MOEMS). The competencies of the institute extend from the single micromechanic device up to the development of complete systems. 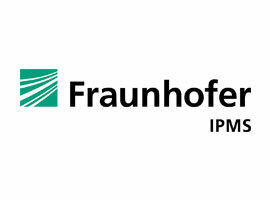 To satisfy the high requirements of its customers, Fraunhofer IPMS is certified according to the DIN EN 9001:2000 norm. IPMS will lead the activities of the Smart System Design, building the system architecture with clear design of the heterogeneous building blocks (Optics design, electronics design, mechanical design and software) and of the interfaces between them. 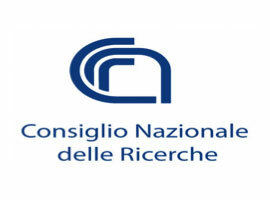 The Italian National Research Council (Consiglio Nazionale delle Ricerche - CNR) is the most relevant governmental organization to promote, coordinate and regulate scientific research in the interest of the scientific, technological and social progress of Italy. The main research activities of CNR, which has a permanent staff of approximately 8000 units including research, technical and administrative people, are performed in its own Institutes distributed all over Italy. Its international activity is also very broad, with direct participation in large international research programs. In this project CNR will participate with Institute of Photonics and Nanotechnologies (Istituto di Fotonica e Nanotecnologia-IFN). CNR-IFN activity is centered on the development of highly innovative research in the field of photonics, optics, optoelectronics and nanotechnologies. 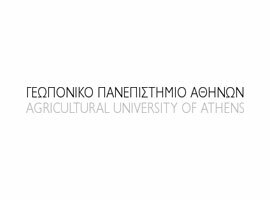 The Agricultural University of Athens (AUA) was established in 1920 and produces scientific knowledge on Greek Agriculture and Economy since 1920. The University has 41 fully equipped laboratories and consists of seven faculties: Crop Science, Animal Science, Agricultural Biotechnology, Rural Economics & Development, Food Science & Technology, Natural Resources Management & Agricultural Engineering as well as a Science Faculty. Its considerable research activity is funded by the EU and various international and national organizations and covers the areas of food quality and safety, reasonable usage of water resources, biological farming, the use of alternative energy sources, applications of biotechnology in agriculture etc. The Laboratory of Microbiology and Biotechnology of Foods (LMBF) will participate in the project and it was established in 1994 and the main research activities are focused on food spoilage, food-borne pathogens, and predictive modelling and risk assessment. AUA will contribute to the Spectrum and Image Analysis conducting the deliverables on Feasibility results and use case benchmarking. It will also undertake Validation and Calibration activities. Freie Universität Berlin (FUB) is one of the eleven universities to have been successful in all three lines of funding in the German government's Excellence Initiative in 2012. The future development concept of FUB is based on three key strategic centers: the Center for Research Strategy, which focuses on research planning; the Center for International Cooperation; and the Dahlem Research School, which supports next-generation academic talent. The Heisenberg Communications and Information Theory Group is part of the Mathematics and Computer Science Faculty of the FUB since September 2015. The Heisenberg Group is sponsored by the German science foundation (DFG) and the first ever of its kind in Communication Engineering. FUB will undertake the implementation of embedded software for PhasmaFOOD smart food analysis platform. RIKILT – Wageningen Research is an independent non-profit institute conducting research on food safety and quality. The institute contributes to the monitoring of production chains, the quality and safety of feed and food, the assessment of the transfer and toxicity of chemical contaminants in the food chain and the identification of emerging risks. It carries out legislative and policy-supporting tasks for the Dutch government and international bodies, including the EC. RIKILT – Wageningen Research has high-quality testing facilities and its strength lies in the versatility of its analytical expertise and equipment – the synergy of immuno-chemistry, spectroscopy, mass spectrometry, microscopy, multivariate fingerprinting, Xomics, bio-assays and chemometrics. 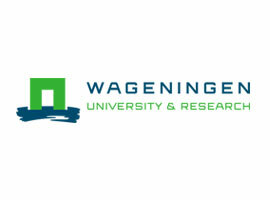 RIKILT – Wageningen Research will be leader of Spectrum and image analysis and validation activities and be participating partner in the dissemination WP. 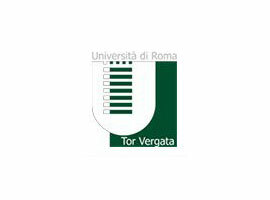 The Sensors Group at the University of Rome Tor Vergata (UTOV) is a research initiative, active in the field of sensors, transducers and electronics since 1989, collecting professors and researchers at the Department of Electronic Engineering. As the major outcomes of the researches carried out there are the design and development of sensors for environmental, medical, space and industrial applications. Main areas of expertise are design of electronic sensor interfaces, measurement strategies, sensors development and data analysis coming from array of sensors or sensor network. The scientific literature produced in the past years in sensor fields confirms the quality of the research carried out. In particular people involved in this project have a wide experience on measuring low concentrations of toxic and polluting chemical compounds with high selectivity, on the optimization and development of sensors ad hoc for specific applications and on multivariate data analysis. UTOV activities in the project will be involved in the design and test of the sensorial platforms and to develop ad hoc algorithm to process the data coming those instruments.